A 'delivery service' for foreign brides was exposed after registrars became suspicious because a couple used an iPhone app to talk to each other during their wedding ceremony, a court has heard. 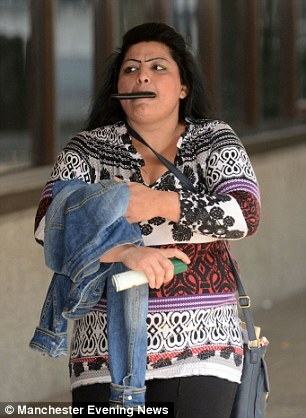 One bride allegedly booked a flight to Prague within hours of tying the knot while a second couple went to KFC to celebrate their union, the jury at Manchester Crown Court was told. Prosecutors say ten women were shipped into Britain on cross-channel ferries between September 2012 and June last year before marrying Asian students who had 'questionable' immigration status. Hamid Mushtaq, 24, and Pavlina Kratka, 28, deny conspiracy to assist unlawful immigration, as do Waqas Hussein, 25, and Blanka Farkasova, 35. The parents of the woman shot dead by Oscar Pistorius today spoke of their fury that the athlete wasn't convicted of her murder. 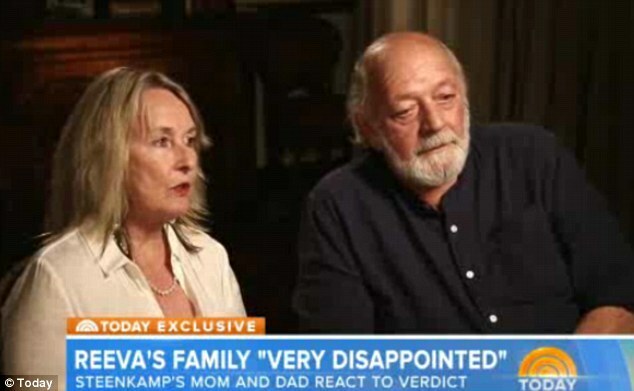 June and Barry Steenkamp blasted the judge for making 'so many mistakes' when she acquitted the Paralympian of deliberately killing their daughter Reeva. In reaching her decision, Judge Thokozile Masipa said there wasn't enough evidence to disprove the athlete's account that he accidentally shot the model through a locked toilet door after mistaking her for an intruder.